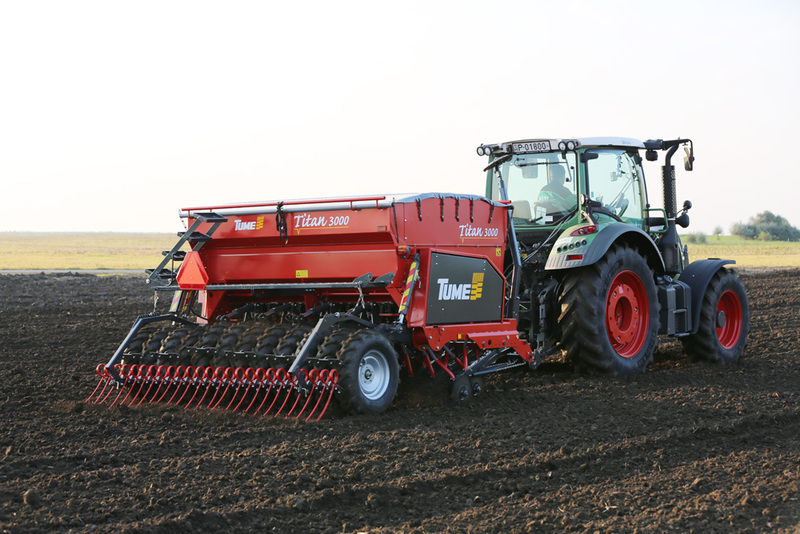 Replacing separate fertiliser arms with a dual disc structure reduces the amount of consumable parts in Tume Titan. 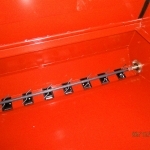 When all harrowing parts of the machine are in motion, the structure of the machine is completely protected from debris. 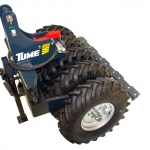 The machine’s tractive resistance is also among the smallest of its class. 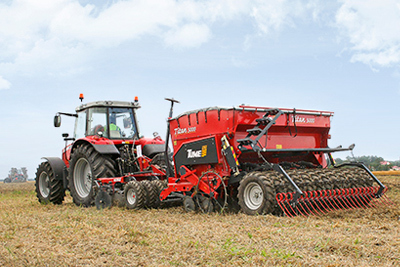 This helps save fuel and enables the use of a smaller tractor as well. 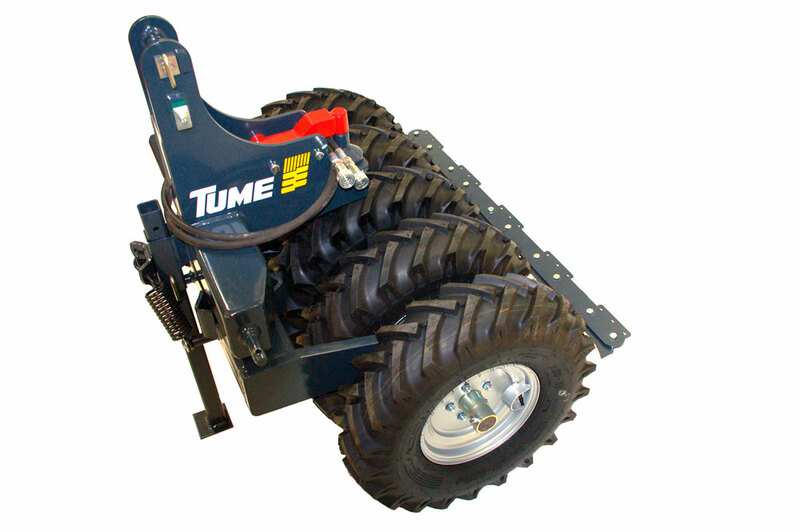 The supporting wheels cover a wide area, rolling along the surface at a steady pressure. 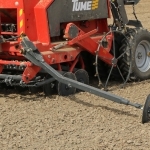 Maximum coulter weight is 60kg/coulter and it can be adjusted during runtime, if necessary. 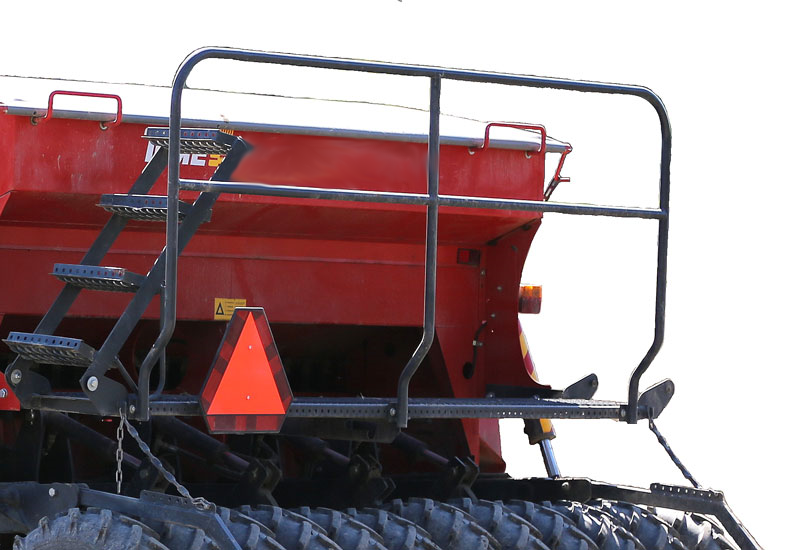 The machine features the largest hoppers on the market. 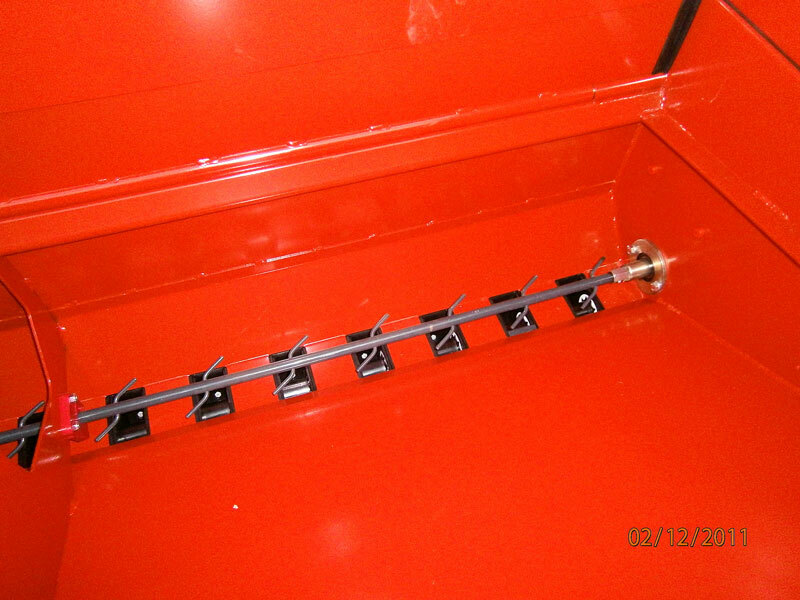 The hopper divider wall is easy to adjust. 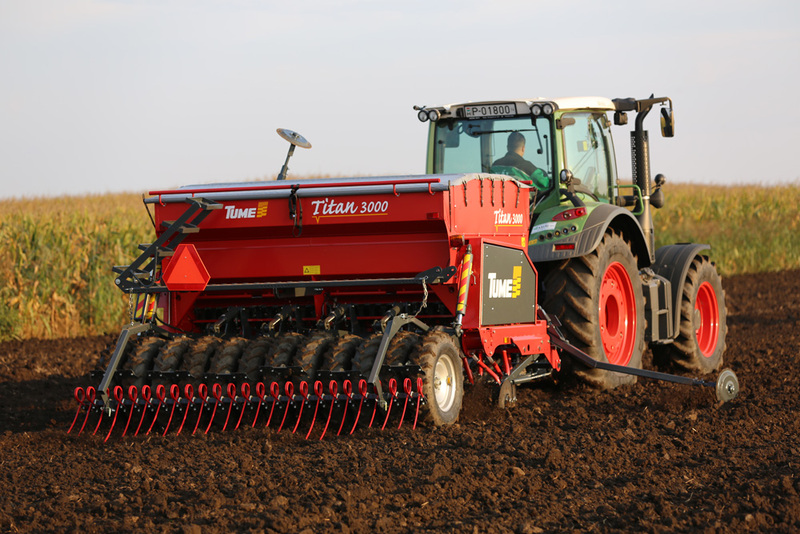 Titan can also be used for only seed sowing, which makes it an excellent choice for organic farms. 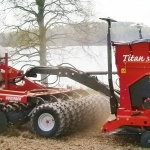 Titan’s rotation test is the easiest and fastest to do, compared to other machines on the market. 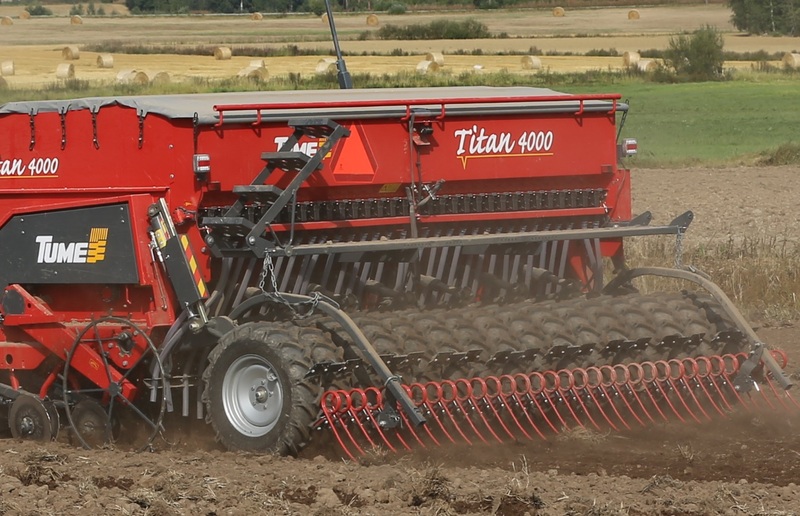 Titan is a user-friendly and, most of all, efficient multipurpose seed and fertilizer drill for minimum harrowing as well as harrowing and seed sowing. 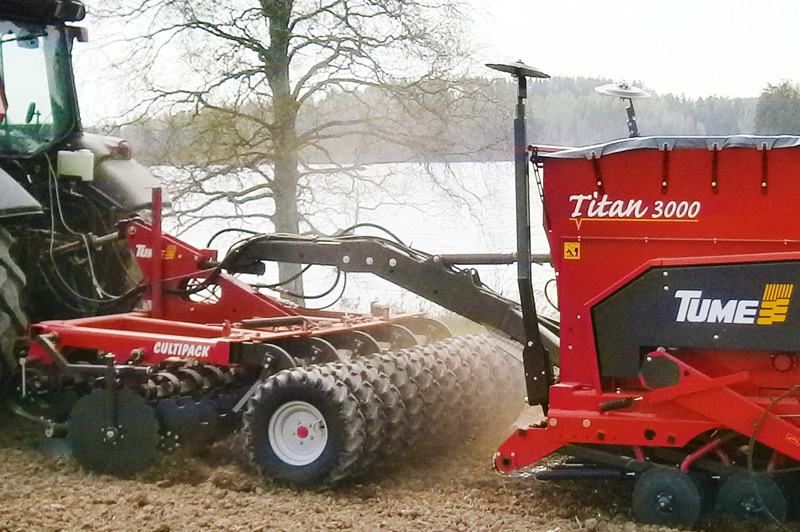 Tume Titan’s features and accessory level is between that of JyräCombi and NovaCombi. 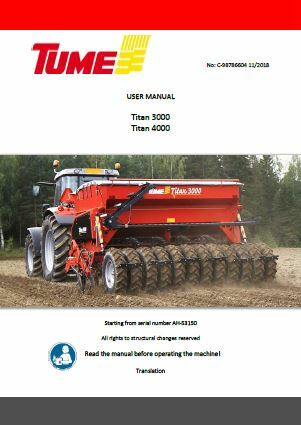 Titan supplements Tume’s extensive seed sowing and fertilizer drill range. Makes the driving line for next pull, don’t need to estimate. 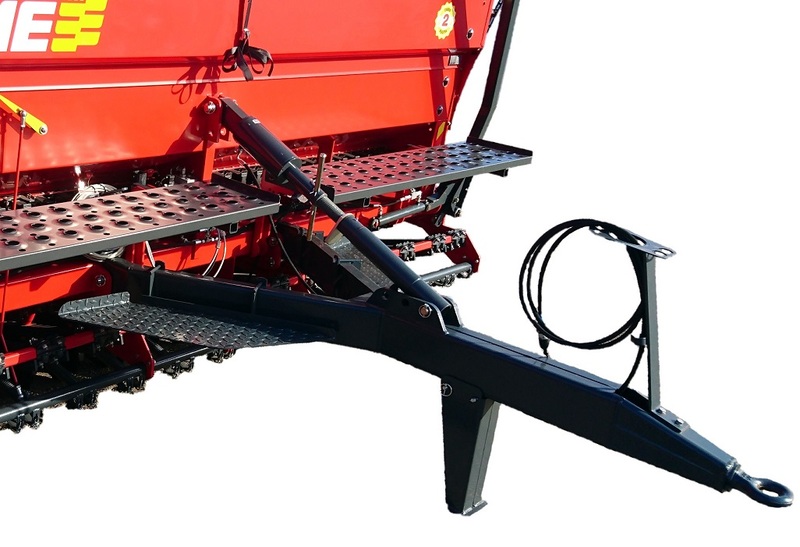 Axles rotation control, level control of the hoppers, control of the markers, makes the tramlines for spraying, hectare counter and function of rear harrow. 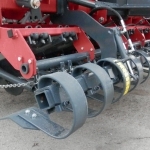 AgroContPlus includes also the fertilizer adjusting. TC has one camera as a standard equipment. Second camera is optional. 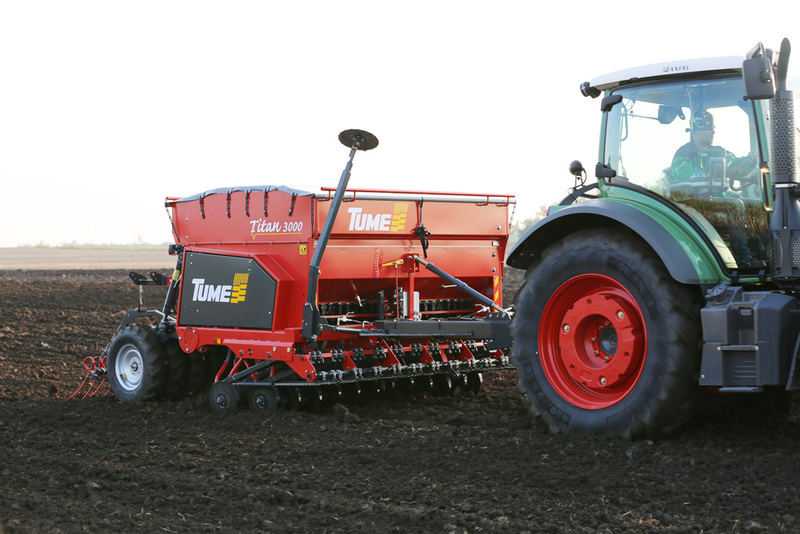 Possible to drill grass seeds simultaneously with grain seeding and fertilizing. 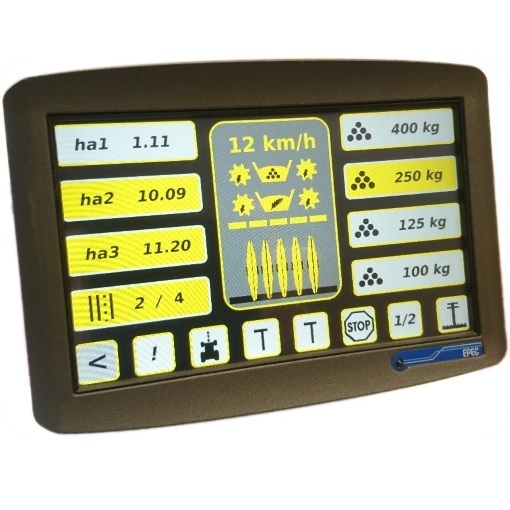 Press the field surface between the tractor wheels. 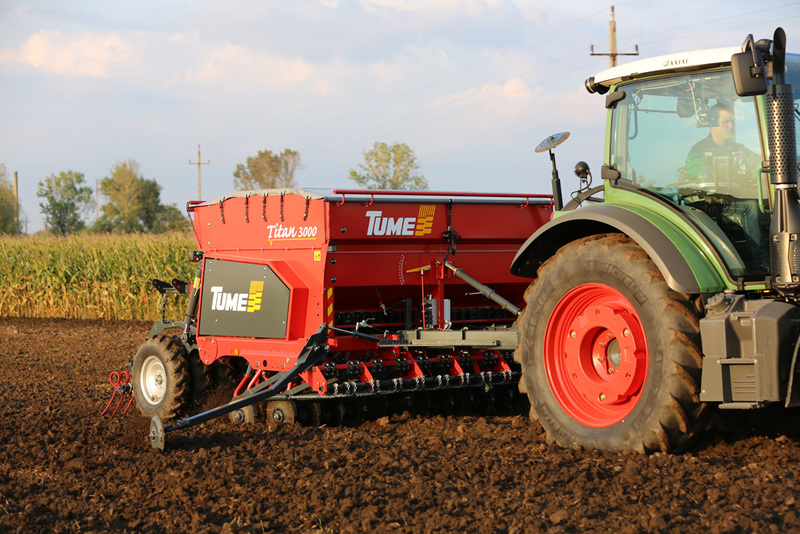 Finish the surface of the field for drilling. 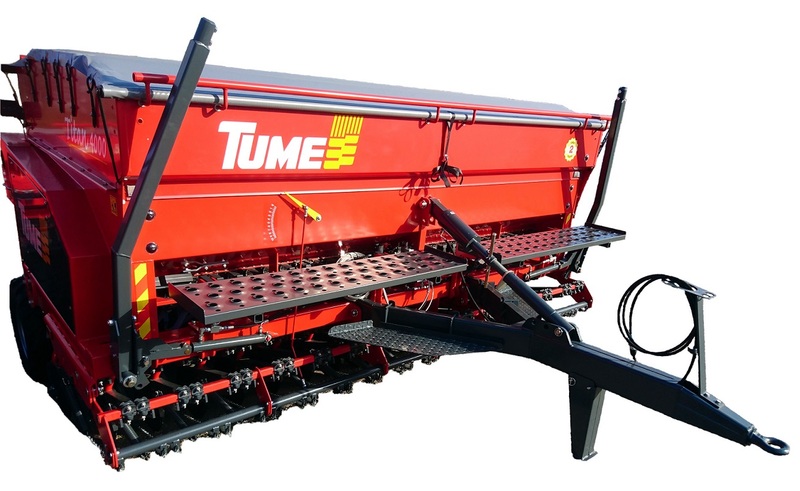 Suitable with Tume CultiPack harrow and also with power harrows. Makes the filling of the hopper easier. 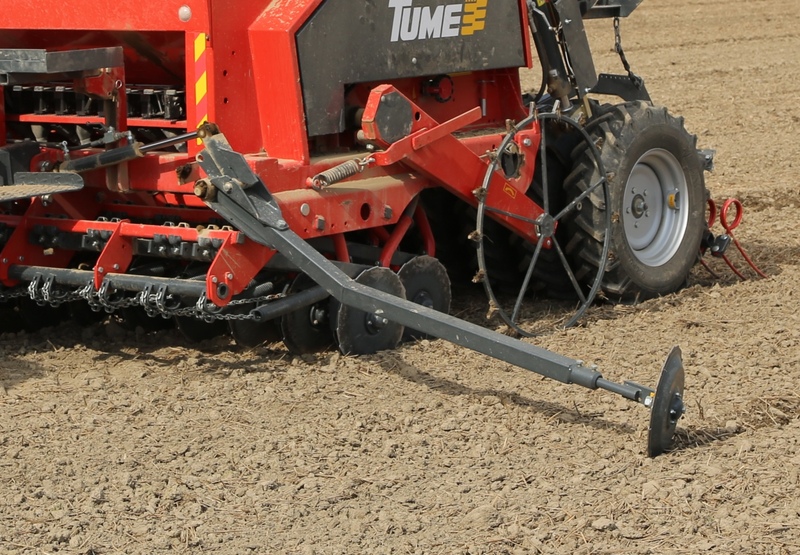 Possible to sow very little seed quantity app to 3 kg/ha. Harrowing work simultaneously with drilling..
Makes the filling of the hopper safer. 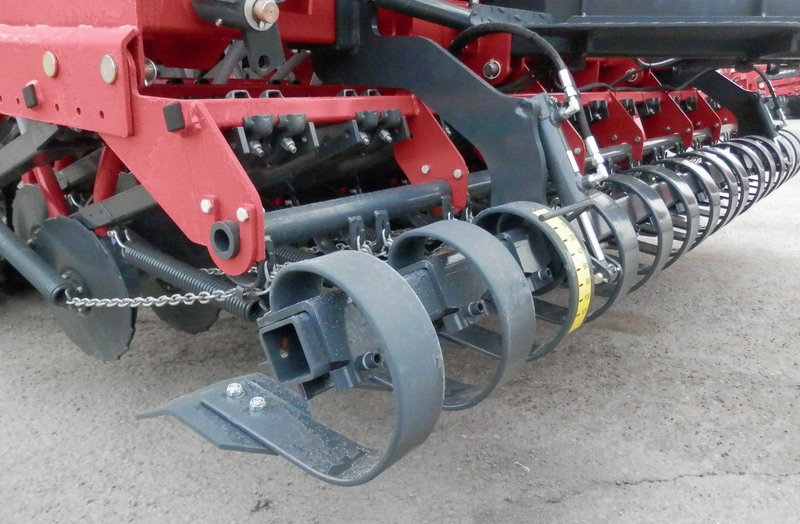 With this cylinder you can lift the front side of the drill, e.g. to help the soilflow to pass the coulters.